Can chronic disease apps get adopted? Is it as simple as four steps? HBR states the obvious. “Why Apps for Managing Chronic Disease Haven’t Been Widely Used, and How to Fix It” is an enticing title, and in the Harvard Business Review no less. Here’s the advice that two Harvard Business School professors have for app developers. First, find an organization–an employer, an integrated health system that includes a payer–that’s willing to pay for your app. Then work the “adopt-diffuse-use-improve” cycle. Get them to adopt it, diffuse it through potential users (as in getting them to try the app), get them to continue using it, and improve the product. You have to sled through about 500 words of exposition to get to this conclusion, obvious to anyone who’s worked in the field more than a couple of months. And oh, as if these steps were so easy to achieve! There’s the given example of Fitbit buying the Twine Health tracking/coaching app in a bid for a more integrated chronic disease management (CDM) approach–for those who’ve tracked Fitbit, and even the professors, its success remains to be seen. There are some nuggets of confirmation useful for presentations, such as you can’t generally sell monitoring apps direct to consumer because managing chronic disease is largely something to be avoided, except for the few with a different attitude, and most believe that insurers should pay for them at least in part. For clinicians, reimbursement and the differential between remote patient monitoring and in-person visits is a big factor. What’s not mentioned: sustainable pricing that’s low enough for a health system, high enough to support a business; clinicians fitting All That Data into a clinical workflow, much less a patient record in an EHR. Are thin-film/adhesive patch glucose monitors the thing this year? University of California San Diego Health (UCSD Health) opened earlier this month a clinical trial of their self-adhesive ‘tattoo’ type glucose monitor. This monitor measures the glucose present in perspiration through two electrodes embedded in the thin adhesive film that apply a small amount of electrical current to make glucose molecules in the skin rise. The clinical trial sampling people with Types 1 and 2 diabetes ages 18-60 with fasting plasma glucose (FPG) > 126 mg/dL, or hemoglobin A1c (HbA1c) > 6.5%. Those in the trial will be comparing their readings from the thin film monitor with a standard glucometer through June 2019. Patients wearing the sensors will receive a minimum of two doses of pilocarpine gel to induce sweat, at fasting and at time points ranging between 15 to 200 minutes post meal. Neither the article nor the clinical trial explain the reading process. In a Mobihealthnews interview with Patrick Mercier, codirector of UCSD’s Center for Wearable Sensors, the sensor can be produced for under $1, comparable to a blood glucose test strip. Tattoo-type sensors and strips made the news about two-three years ago in their early stages of development and now are resurfacing with both trials and investment. Sano received $6 million from Fitbit for its combination of sensor and mobile app. The University of Bath has designed a multi-sensor patch that doesn’t need gel to raise a sweat; it measures interstitial fluid located between cells within the body-hair follicles [TTA 24 Apr]. We are rapidly moving towards less-invasive monitoring systems and better diabetes management. 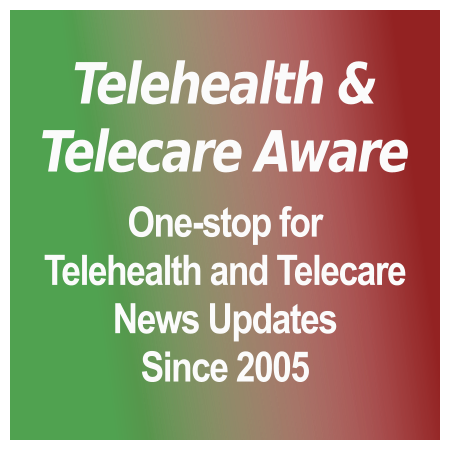 Speaking of Medtronic Care Management Services, MCCM touted its VA Home Telehealth ties to Healthcare Analytics News. Intriguing claim: they’ve treated 310,000 veterans since 2011 (Cardiocom, the 2011 awardee, was purchased in 2013). VA itself credits only 156,000 patients to Home Telehealth in Federal FY 2014 (the last official count), 43,000 patients in 2010 and 144,000 in 2013. A very rough estimate by this Editor is that they were about 25 percent of the veterans in the program. Welbeing‘s opened a new head office at Technology Business Park in Moy Avenue in Eastbourne….CarePredict‘s AI for ADL system using the Tempo wearable has new implementations at LifeWell Senior Living’s community in Santa Fe, New Mexico (their third with CarePredict) and a three-year commitment with the Avanti Towne Lake community, Cypress, Texas. Dave Muoio has an interview with CEO Satish Movva on Mobihealthnews….Tunstall is partnering with Milpitas, California-based noHold’s Albert bot to create a virtual assistant for Tunstall’s mobile Smart Hub product, currently in Australia and in trials in Europe and the USA….Tynetec (advert above) has been closely associated and fundraised with the Dementia Dog Project and DogsforGood. An article in the Express highlights both in the beneficial role of pets with Alzheimers and dementia sufferers…. In robotic pet news, Hasbro is upgrading its ‘Joy for All’ companion pets through a Brown University research program, Affordable Robotic Intelligence for Elderly Support (ARIES) to add medication reminders, basic artificial intelligence, and more (Mobihealthnews)….Fitbit continues its march to a clinicalized product touting diabetes management partnerships with Medtronic and DexCom, plus clinical trials detecting sleep apnea through its SpO2 sensor. 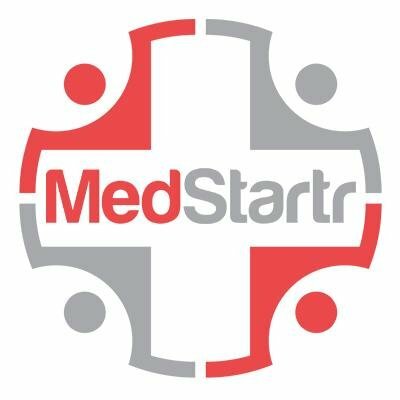 3rd quarter sales were up 23 percent to $244 million and 40 percent from repeat purchasers, but they took an $8 million loss from a distributor (MedCityNews). Shouldn’t we be concentrating on digital therapeutics rather than ‘health apps’? Where the money and attention are going. The first generation of Quantified Self apps was all about viewing your data and storing it online in a vault or graphs…somewhere, usually proprietary. Your Pebble, Fitbit, or Jawbone tracked, you crunched the numbers and found the meaning. At the same time, there are wellness companies like Welltok, ShapeUp, Keas, Virgin HealthMiles, and RedBrick Health, usually working with companies or insurers, that use various methods (money, gamification, other rewards) to influence lifestyle and improve a person’s health in a quantified, verifiable, but general way. What’s happened? There are now apps that combine both data and behavior change, focusing on a specific but important (again) condition, coach to change behavior and verify results rigorously through clinical trials. Some, like Omada Health, prove through those clinical trials that their program successfully changes pre-diabetic indicators, such as weight loss, decrease cholesterol and improved glucose control–without medication. This results in big savings for insurance companies, one reason why a $50 million Series C was led by Cigna. Another model is to work with pharmaceutical companies to better guide treatment. Propeller Health with its asthma/COPD inhaler tracker is partnering with pharma GlaxoSmithKline on a digital platform to better manage lung patient usage, and surely this will go through a clinical trial. We will be seeing more of this type of convergence in medical apps. (The rebooted Jawbone Health Hub is moving in this exact direction.) The Forbes article, while short, is written by someone who knows the business of apps– the co-founder of the AppNext distribution/monetization platform. He does achieve his aim in making us think differently about the potential of ‘health apps’. [grow_thumb image=”http://telecareaware.com/wp-content/uploads/2017/05/Fitbit-Watch-FINAL.jpg” thumb_width=”150″ /]Given this week’s leak/reveal and scuttlebutt on the new Fitbit smartwatch, Mr. Park needs to gin up a big payer, quickly. The advance buzz is not positive nor kind. It’s delayed from spring to end of year–in competition with the latest iteration of the Apple Watch. This advance photo of codenamed ‘Higgs’ from Yahoo!Finance indicates a certain clunkiness (and derivation from the panned semi-smartwatch Blaze). It’s pricey, rumored to be priced at around $300. Features include a 1,000nit, built-in GPS, heart-rate monitoring, contactless payments, Pandora and four days of battery life along with connectivity to new Bluetooth headphones. Yet TechCrunch notes “complaints about design, production delays, antenna issues and software problems.” in what they dub “a giant mess”. Forbes notes problems in waterproofing and GPS signal. There are other Android-based smartwatches that do the same for the same price or less. Will this save Fitbit? To be determined…. It looks like the long-running Jawbone v. Fitbit trade secrets show will continue in California Superior Court. Judge Richard Ulmer on Friday (24 Mar) in San Francisco ruled that the scope of the Jawbone-initiated lawsuit, charging that Fitbit and five former Jawbone employees stole trade secrets, was far larger than the dismissal handed down last October by the US International Trade Commission (ITC) in Washington, DC, rejecting Fitbit’s claim. To Bloomberg Technology, a Jawbone spokesperson crowed, “We look forward now to focusing on presenting our case to a California jury, which will not be bound by the strict procedural limitations that we faced in the ITC. We will push the case to trial as quickly as possible and are confident that justice will be done.” Fitbit is expected to appeal, but this is not good news for them if this drags out–their share price is down 72 percent from a year ago (Marketwatch)–and threatens their IP which is key to a pivot to the clinical monitoring market. A sidebar to this is Business Insider’s recent report that one of Jawbone’s law firms, Susman Godfrey LLP, has withdrawn from three pending cases citing ‘professional considerations’, remaining on two. This Editor cannot confirm whether Susman Godfrey is representing Jawbone in the above case, as Plainsite records indicate that Skadden Arps is their counsel. The California courts website has not been updated for the case (Aliphcom Inc. v. Fitbit Inc., CGC15-546004). Previous TTA coverage 9 Feb.
Wearables: it’s a journey, but is it really necessary? [grow_thumb image=”http://telecareaware.com/wp-content/uploads/2015/08/is-your-journey-neccessary_.jpg” thumb_width=”150″ /]Increasingly, not in the opinion of many. We’ve covered earlier [TTA 21 Dec, 6 Feb] the wearables ‘bust’ and consumer disenchantment affecting fitness-oriented wearables. While projections are still $19 bn by 2018 (Juniper Research), Jawbone is nearly out of business with one last stab at the clinical segment, with Fitbit missing its 2016 earnings targets–and planning to target the same segment. So this Washington Post article on a glam presentation at SXSW of a Google/Levi’s smart jeans jacket for those who bicycle to work (‘bike’ and ‘bikers’ connote Leather ‘n’ Harleys). It will enable wearers to take phone calls, get directions and check the time by tapping and swiping their sleeves, with audio information delivered via headphone. As with every wearable blouse, muumuu, and toque she’s seen, this Editor’s skepticism is fueled by the fact that the cyclist depicted has to raise at least one hand to tap/swipe said sleeves and to wear headphones. He is also sans helmet on a street, not even a bike path or country lane. All are safety Bad Doo-Bees. Yes, the jacket is washable as the two-day power source is removable. But while it’s supposed to hit the market by Fall, the cost estimate is missing. A significant ‘who needs it?’ factor. Confirming reports from various sources last year [TTA 21 Dec] and prior (July) is a report in TechCrunch confirming what we already guessed: Jawbone is out of the consumer fitness tracker market, is aiming at a B2B2C market of health providers, and needs to raise a lot more money. It’s seeking additional funding from investors. TechCrunch‘s sources claim that is at an advanced stage, but no closings as of yet. We noted in December that research/analytics company CB Insights calculated that 2015 wearable computing (a broader category that includes smartwatches) investment funding fell 63 percent from 2014 to a level comparable to 2012-13, in large part due to the cooling of the fitness segment. TechCrunch’s end of year report from eMarketer and other sources also noted that 2016 sales growth of the wearables sector, forecast at 60 percent, only achieved 25 percent growth and will be equally weak in 2017. Lack of demand, lack of loyalty (most fitness bands are discarded after 3-6 months), unreliable (TechCrunch makes much of customer displeasure), their looks and generally useless (in a clinical sense) data and the greater versatility (and appearance) of smartwatches for those who want them, are all factors. There’s a disenchantment here (‘who needs ’em?’) that mass marketing can’t overcome.